This chunky guacamole recipe balances the buttery richness of avocados with bite from red onions, zing from lime juice, and light, smokey heat from a roasted red pepper. Combine the lime juice and avocados. 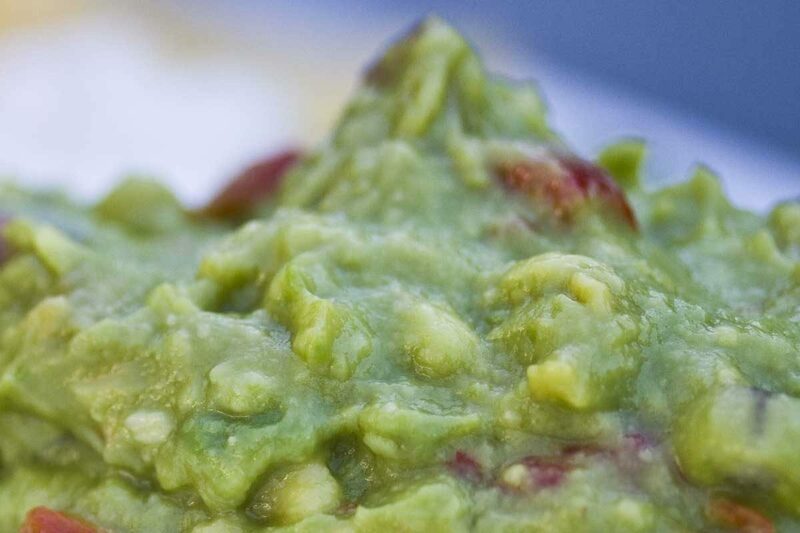 Mash the avocados to a chunky consistency. Stir in the red pepper, ½ tsp salt and red onion. 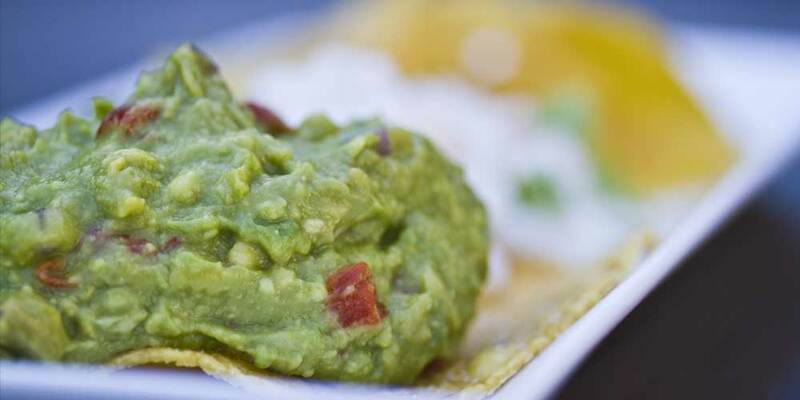 Cover tightly by pressing plastic wrap down onto the surface of the guacamole to prevent oxidation, and store in the refrigerator until you’re ready to serve it. Matthew – I love avocado. I often lunch on 2 Wasa crackers smeared with fresh avocado and lemon juice. When I recently did an African-themed dinner one of the appetizers I served was a guacamole that was prepared with anchovy and a dash of sherry. It really took guacamole to another level. You should try it. Joan, I certainly will! I imagine anchovies in particular could really brighten up guacamole in an exciting way. I’ve never been wild about them on pizza, but I think they’re one of the great underappreciated seasonings for sauces and dressings…I used some in a pasta salad with reggiano, sun dried tomatoes and a nice extra virgin oil just the other day…it was great!